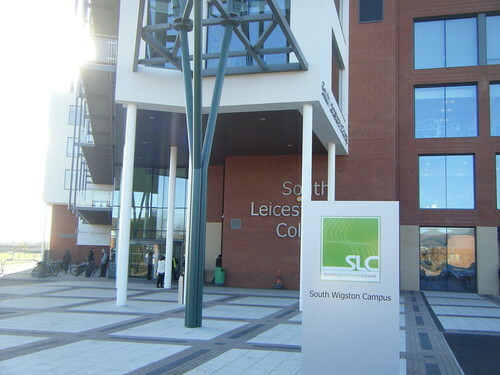 On Wednesday I represented the University Library at the College-University of Leicester Network (CULN) Librarians meeting. 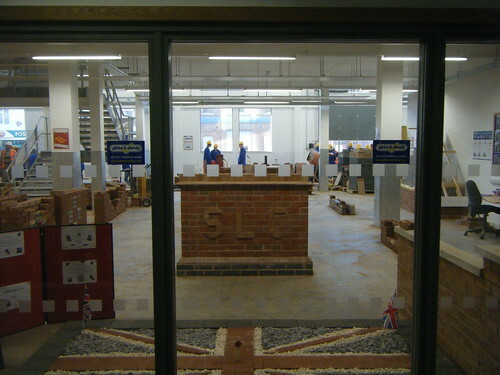 This meeting was hosted by Lesley John at South Leicestershire College, and we got a tour of the new College building, as you can see from the photos below. 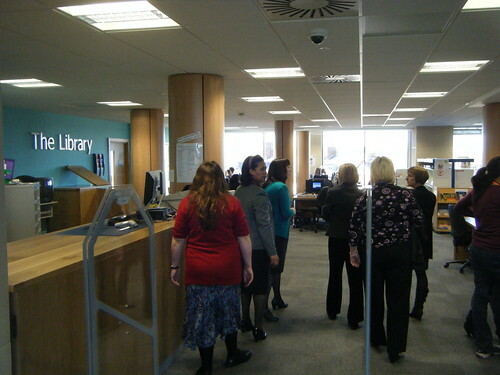 The new building brings all their departments together in one place, where they were previoulsy on several campuses. Including those such as construction (below). 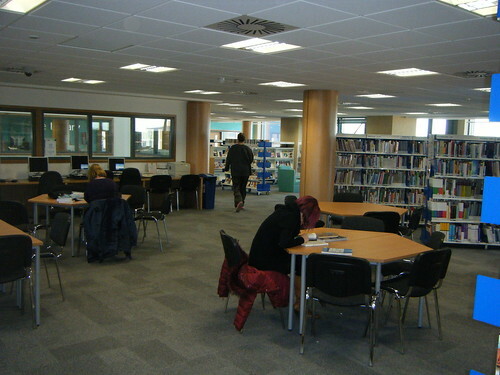 Each subject has their own teaching area or Pod, which includes an area where the students can drop in to use computers or do group work. 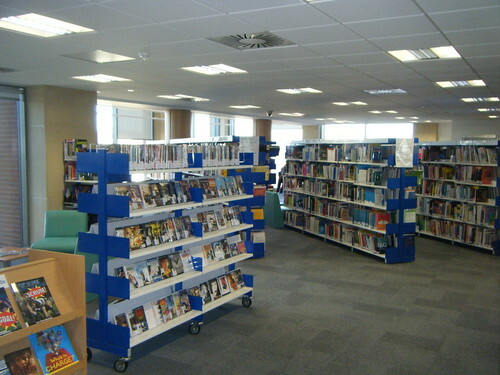 Lesley told us that the library being integrated into the new building has meant more visits from students and staff, including harder to reach users.